My wife Emma and I have spent the better part of the last decade in and out of Guatemala. It’s a place that we refer to as home even today, much more so than England (where she’s from) or the United States (where I’m from). Guatemala is a country that’s steeped in rich traditional cultures, from the ancient Maya to the Garifuna that live in settlements along its coast. 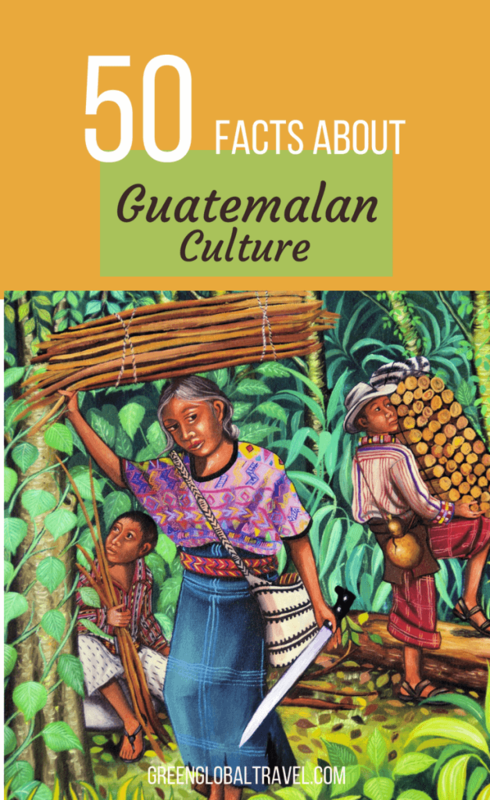 The art and traditions of Guatemalan culture move through millennia and cover terrain that, in a country smaller than Louisiana, includes belching volcanoes, sweltering tropical coasts, dense jungles, and chilly highlands. 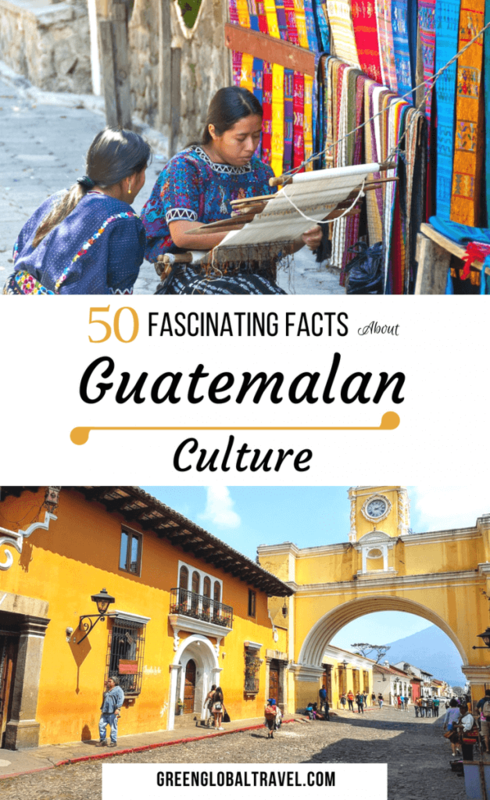 There is such a wide array of cool culture in Guatemala to appreciate, we wanted to share these 50 fascinating facts about it. • Guatemala is widely considered the hearth of the Maya civilization, and many of its greatest cities, such as Tikal and El Mirador, were built and abandoned in the country. Mayans ruled the area that is now Guatemala until around 1000 AD. • No one is quite sure what caused the downfall of the great Mayan cities throughout Guatemala. The Spanish did not arrive for about another 500 years after their disappearance. • Today, nearly 40% of the population of Guatemala is indigenous, with the vast majority of those being of Mayan descent. K’iche, Kaqchikel, Mam, and Q’eqchi’ are the most prominent four of the 23 recognized Mayan groups in the country. Additionally, a non-Mayan group, the Xinca, makes up about 0.5 % of the population. • Though Guatemala’s official language is Spanish, there are over 20 other languages still commonly spoken throughout the country. Twenty-one different Mayan languages are spoken throughout the highlands, and there are also two non-Mayan languages spoken along the Caribbean coast. •Even in metropolitan areas, indigenous people usually use their native language to converse. However, these languages weren’t officially recognized by the government until 2003. • In the 1500s, an unidentified man wrote Popol Vuh, which is considered Guatemala’s greatest literary work. It’s also recognized as the Sacred Book of the Ancient Maya Quiché, recounting the history of Maya-Quiché from the beginning of time until the Spanish conquest. The story is said to have been passed down orally and via hieroglyphics for generations. • Rigaberta Menchú, a Quiché woman, was born in 1959, a year before the Guatemalan Civil War began. She grew up in an impoverished indigenous family and later became an activist, resisting the oppression of the Guatemalan government and fighting for indigenous rights. She eventually told her story in a book,I, Rigaberta Menchú (1983), describing her life of struggle. She also narrated a documentary, When the Mountains Tremble (1987), about the civil war. She was awarded the Nobel Peace Prize in the early 1990s. 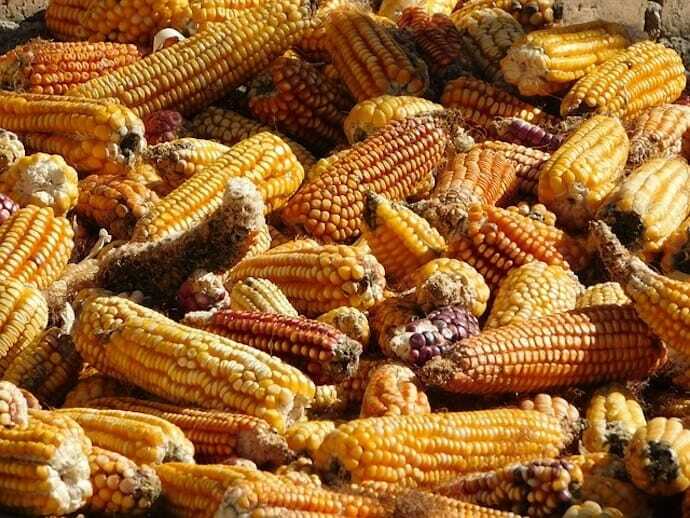 • Corn features prominently in Guatemalan cuisine. It is ground into meal and fashioned into fresh tortillas daily. Corn tortillas accompany just about every meal, from fried chicken to soup. But it is mostly served with beans and rice. Corn masa, a dough, is also used to make traditional dishes such as tamales. But corn on the cob (a.k.a. sweet corn) is not really part of the Guatemalan culture. • Tamales are a beloved, traditional Guatemalan food. They come in many varieties, but all recipes start with masa. The dough is stuffed with a featured ingredient, such as meat or vegetables. Guatemalan tamales are usually wrapped in a special green leaf called maxan. A similar dish, called chuchitos, are wrapped in corn husks, as Mexican tamales generally are. • Pepian is a stew with chunky meat, typically chicken, and potatoes in it. The sauce is largely made of ground pepitos (pumpkin seeds) and sesame seeds. It also has a dizzying assortment of dried chilies in it, most of which are not regularly found outside of Guatemala. The stew is usually served over rice. It’s a common meal around Christmas and other special occasions. • The Mayan people were the inventors of chocolate. It started off with hot chocolate, usually spiked with an assortment of spices such ascardamom, chilies, and cinnamon. The beverage was part of many rituals and something the Maya elite got to enjoy. The chocolate tradition also extended into modern times: Guatemala is where chocolate bars were invented. • Fruit features largely in Guatemalan cuisine as well. There’s an abundance of tropical fruits, like pineapple, bananas, papayas, and mangoes. They are mostly served as licuados, which is more or less a smoothie. Licuados are a mixture of fruits and a choice of liquids, which is usually either water, milk or juice. They are offered in just about every restaurant, big or small, in the country. 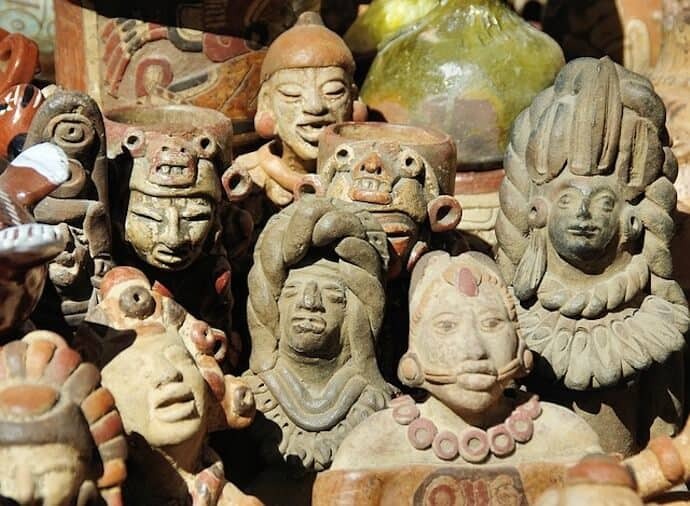 • Guatemala is well known for its jade, which has been treasured since pre-Colombian times. During those times the only site from which you could get jade was in the Montagua River valley. Consequently, it was jade almost exclusively enjoyed by the elites and was very symbolic in ancient rituals. Nowadays, Guatemala is a huge exporter of jade. • Guatemala is the world’s greatest producer of cardamom, by nearly double the amount of the next largest producer (India). While cardamom is an oft-used ingredient in Indian cooking, the spice isn’t so widely used in Guatemala today. For the rest of the world, it’s not uncommon to find it in specialty drinks, such as mulled wine, eggnog, and Arabic coffee. 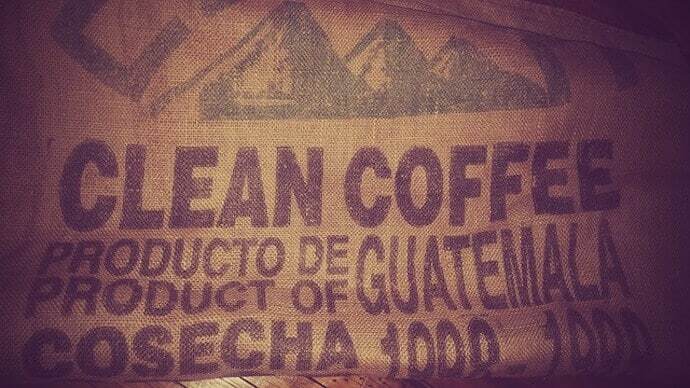 • One need only visit a Starbucks (or any other gourmet coffee shop) to discover that Guatemalan coffee is widely considered some of the best coffee in the world. Coffee exporting is actually the country’s largest economic engine. It’s mostly grown in the central highlands of the country, and beans from around Antigua are the most prized. It’s possible to tour coffee fincas in that area, from luxury outfits to small co-ops. 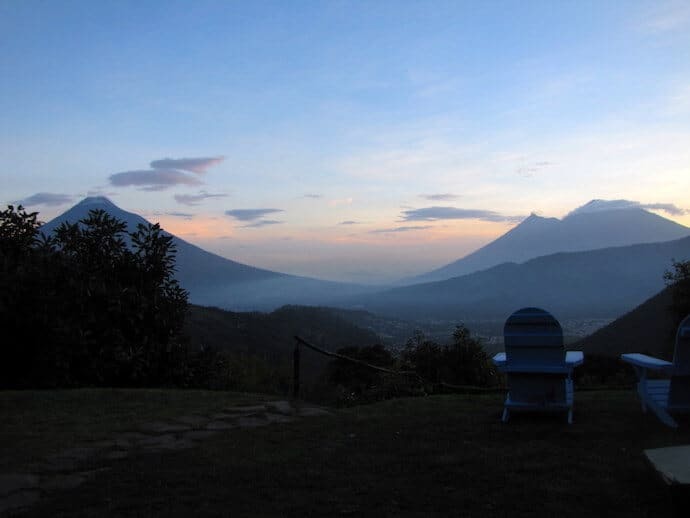 • Guatemala’s second largest moneymaker is tourism. Over 1.2 million people visit the country each year, and many NGOs come from all over the world to work on projects in Guatemala. 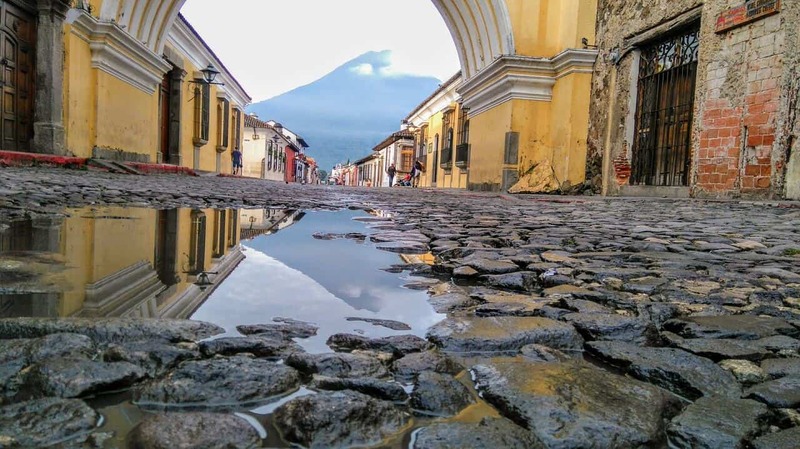 The county’s most visited destinations are Tikal (the country’s premier Mayan site); Lake Atitlan (arguably the most beautiful lake in the world); and Antigua, the country’s tourism capital. Of course, these only scratch the surface of what there is to see. • Despite the fact that the US remains its chief export destination, Guatemala has a very difficult past with the United States. The CIA helped to overthrow the Guatemalan government in the 1950s, spurring the country’s monstrous civil war. The interference is linked to the United Fruit Company, whose exploitative practices suffered under the liberal government. Guatemala was (and, some would say, remains) a banana republic. • During the six weeks of lent and especially Semana Santa, when festival processions are at their peak, Guatemala culture comes alive with sound. Somber wind and percussion music accompanies groups of people who suffer under the weight of large floats carried through town. Typically, there is an abundance of incense, costumes, and crosses as well. • What is known about the music of the Maya is that they played a variety of (surprise, surprise!) wind and percussion instruments. The wind instruments were mostly made of cane or bone and consisted largely of whistles and ocarinas, a sort of pocket-sized flute. Percussion instruments included wooden drums with deer hides, rattles, and guiros, which are open-ended gourds that are rubbed to create a ratcheting effect. • The instrument Guatemala is most famous for is the marimba. The first documentation of the existence of marimbas comes from the late 17th century in what is now Antigua. These look very much like large xylophones, but they are constructed mostly of wood. Diatonic rows of wooden bars are struck with mallets, often by multiple players, usually either three or four. • It’s hugely important not to overlook the Garifuna culture when considering the music of Guatemala. Though they have much more of a Caribbean-influenced tradition, the Garifuna have villages up and down coasts of Guatemala, Belize, and Honduras. The music is a mixture of African-style drumming ensembles, rhythmic singing, and circular dances. • Though it didn’t originate in Guatemala (but rather Puerto Rico), reggaeton is the pop music you’ll mostly hear coming from cell phones, out of car windows, and in dance clubs throughout the country. Not to be mistaken with reggae, reggaeton does have a reggae-like rhythm to it. But it’s mostly produced via percussion instruments, with Spanish lyrics rapped over them. The music is definitely associated with dancing. 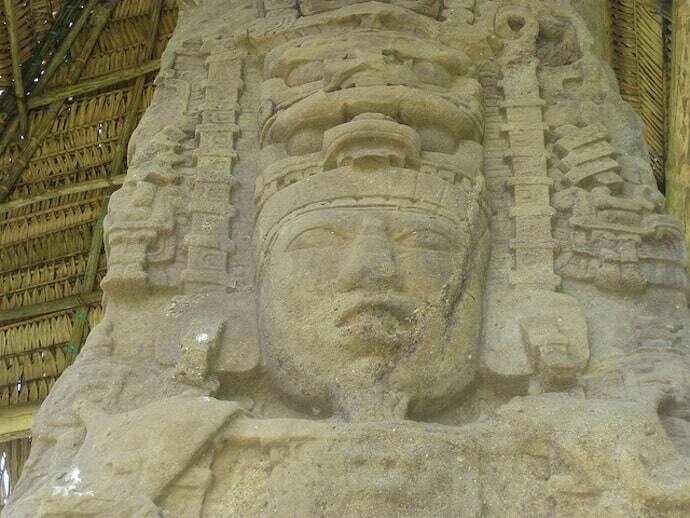 • Ancient Mayan art mostly consisted of large murals and stelae, which are large, free-standing stone carvings. Today’s best example of Mayan murals are found at the Mexican site of Bonampak, but there are some in Guatemala as well. Quirigua, which is located in southern Guatemala, is arguably the most impressive collection of Maya stelae left in the region. • In the centuries immediately following colonialism, most artists from the Guatemalan culture remained anonymous. However, there are two of note: Thomas de Merlo’s paintings can be seen in Antigua’s Museo de Arte Colonial; and Quirio Cataño’s sculpture, the Black Jesus of Esquipulas, receives visitors from all over Central America. • Guatemala’s best-known artist, Carlos Mérida, lived to be nearly 100 years old (1891 to 1984). Though he studied painting in Paris, his style blended European influences with American themes to make Indigenista art. His art went through various phases—figurative, surrealist, geometric— over the course of his lifetime. Much of it is in Guatemala City’s Museum of Modern Art. He also painted murals in Guatemala City. • Miguel Ángel Asturias is Guatemala’s most recognized writer, and he was the winner of the Nobel Prize in literature in 1967. His works tended to be very political in nature. El Señor Presidente is about a maniacal dictator, Hombres de Maiz is about Mayan peasants and guerillas, and El Papa Verde is about the United Fruit Company. • Worry dolls are more folk art than high-brow, but they are a very common tradition that originates and continues in Guatemala. These are tiny, handmade dolls constructed of wire, wool, and leftover textiles. The figures are dressed in traditional Mayan clothing. They are given to children, who tell the doll about their troubles before putting it under their pillow and then sleeping over it. The dolls are sometimes used in child psychiatry today. 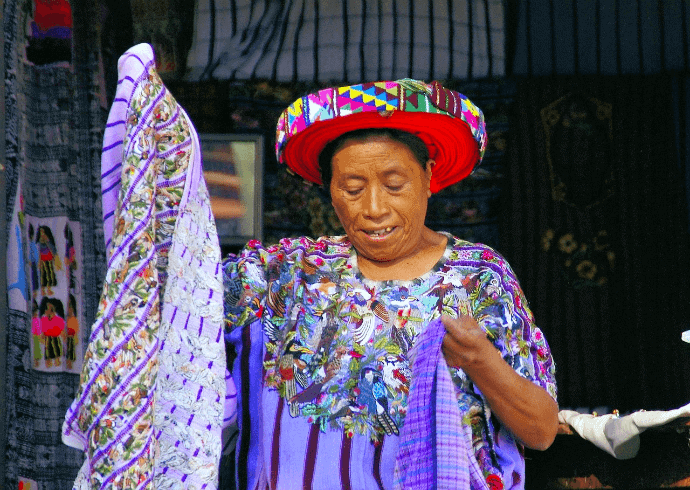 • Textiles are among the most prominent examples of traditional Guatemalan culture. The ancient Mayan people worked with two types of cotton, one white and one brown. In both cases the cotton was typically dyed, and it was largely enjoyed exclusively by the elites. The preparation process for the cotton was intense, including cleaning buds and removing seeds. Elite women were primarily the ones who took on these tasks. 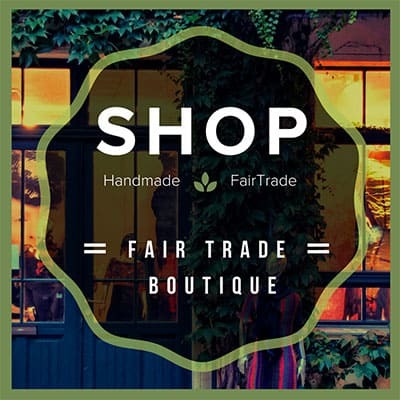 • Most artisan weaving in Guatemala today comes from a rather rudimentary back-strap system. One end of the fabric is tied to a stationary object, such as a tree or a post, and the other end is looped around the back of the weaver, allowing her to adjust tension as needed. Typically, the weaver sits on the ground. But, with age, many begin using a small stool. • Colors for yarn in Guatemala has customarily come from natural plant materials. Nowadays, yarn is still done this way, but artificially dyed yarns are not uncommon. Some of the plants used to make natural colors are carrots for orange, coconut shell for brown, hibiscus flower for pink, and achiote (a native spice) for orange. 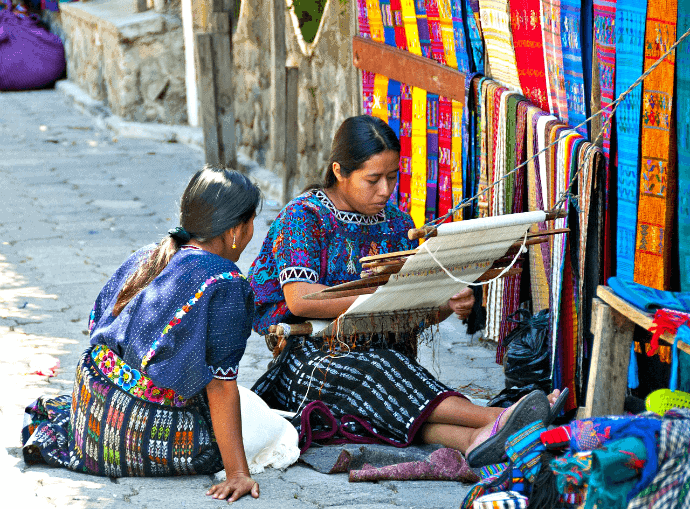 • Tapestry crochet in Guatemala began with men in small villages making bags for personal use. Each bag’s colors and design reflected the town from which it came. These bags were constructed of the same cotton thread and natural dyes used for back-strap weaving. Now tapestry-crocheted bags, produced by both men and women, are a major item in tourist areas. • Aside from cotton, maguey (which is also known as agave), is another plant that was commonly used for making fiber (as well as liquor) throughout Mesoamerica. The cords produced from this fiber were prized, used for things such as equestrian equipment, fishing nets, and hammocks. • A huipil is a woman’s blouse, generally woven by hand with a backstrap loom. Some are so elaborate that they can take months to create. Each one is uniquely decorated with expressive designs and symbols, such as diamond shapes, interesting animals, landscape features, and/or corn. The thickness of a region’s huipil will be based on the climate of the area. • Cortes, or skirts, are more likely to be woven on foot-powered looms, and often made by men. These are wrap-around skirts formed by several pieces of fabric sewed into a tube, with the excess materials wrapped around the body and folded into pleats. The fabric is typically very thick, and each corte is meant to last for years. • Fajas are the very decorative belts used to hold up women’s cortes. They tend to be between six and nine feet long and are either handwoven or embroidered. The belts can be thin– just a couple of inches– or up toa foot wide. • Men, too, have traditional clothing, though it isn’t as prominently retained as the women’s. In some parts of Guatemala, men still wear custom pantalones woven by women on a back-strap loom. Like huipiles, these can be very ornate. 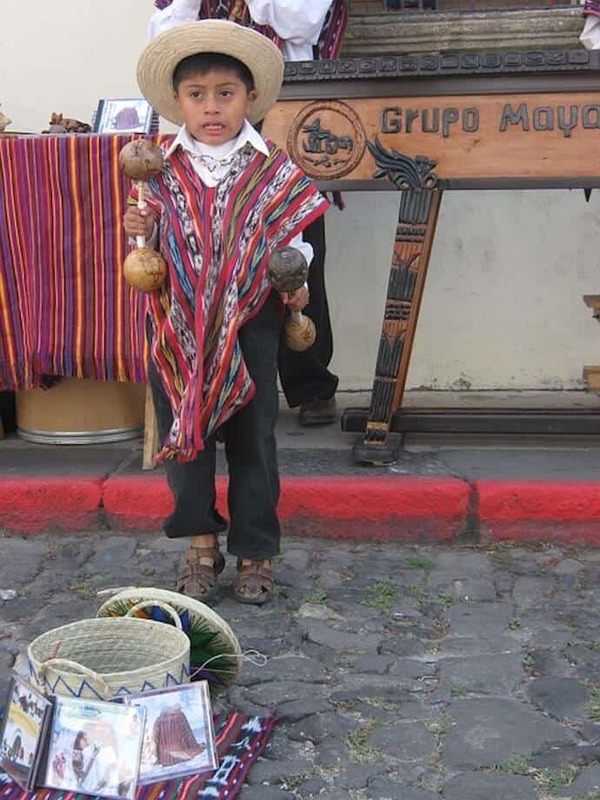 Around Solola, men can still be seen wearing rodilleras, a woolen wrap designed to provide warmth if the temperature drops or cool (taking pants off) if it gets too hot. • Semana Santa (a.k.a. Holy Week) is a huge event in Guatemala. Processions come from villages surrounding Antigua and move through the city throughout the week. 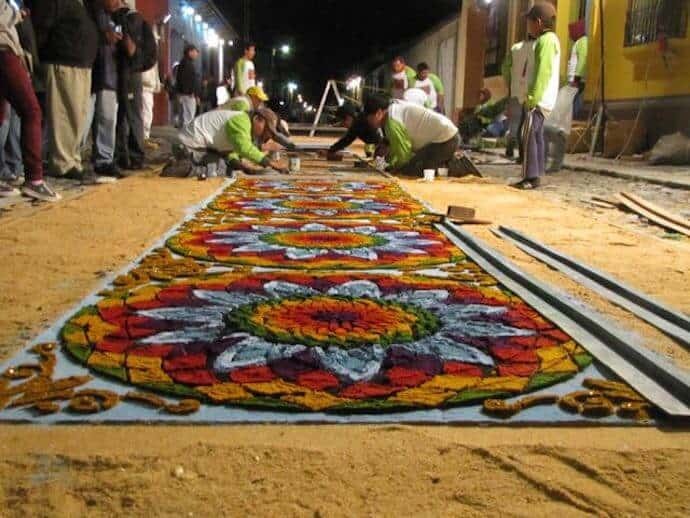 Patrons spend hours making colorful alfombras– “carpets” made of sawdust– on the city’s cobbled streets. Part of the tradition is that processions walk right over the alfombras, leaving them a mess. • Every village in Guatemala celebrates their own Patron Saint. The celebration consists of cultural activities such as processions and folk dances. Villagers will also often offer hand made arts and crafts during the festivities. • Dia de Los Muertos, or the Day of the Dead, is an annual celebration held on the first of November. Though the name may seem frightening, it’s really a time of remembrance. Families go to cemeteries to visit departed loved ones and paint their headstones in bright colors. November is one of Guatemala’s windiest months, so flying kites is a popular activity. • The Burning of the Devil happens on December 7th, and it’s a little frightening. Guatemalan families take flammable waste items, such as newspapers and magazines, and set them on fire in the streets. The ritual is an effort to cleanse homes in preparation for Christmas. • There are over 30 volcanoes in Guatemala, three of which are still active. Pacaya, located near Guatemala City, can be visited by tourists who want to see flowing lava up close. Fuego, another active volcano, can be seen erupting daily from Antigua, Guatemala. Volcan Tajumulco is the highest point, both in Guatemala and all of Central America. • Lake Atitlan is the deepest lake in Central America, and many claim it’s also the most beautiful. It’s ringed by volcanoes and indigenous villages, and reaches depths of over 1100 feet. Located at a higher elevation, it’s also a great destination for getting certified to scuba dive at high altitudes. • The Rio Dulce (or Sweet River) runs between Lago Izabal, Guatemala’s largest lake, and the Caribbean coastline. The river and the land surrounding it is wildly diverse, both with plant and animal life. It’s possible to see monkeys, manatees, and much more there. It’s a beautiful 90-minute boat ride to get from the lake to the sea, much of which is through high cliffs that are often covered in birds. • Tortugario Monterrico is a nesting site for three types of sea turtles along the Pacific Coast of Guatemala. Olive Ridley, Leatherback, and Green Sea Turtles all frequent the beaches to lay eggs. San Carlos University (located in Guatemala City) has helped to set up hatecheries and conservation programs to preserve the sea turtle population there. • Semuc Champey (Sacred Water) is a series of natural pools formed by the Rio Cahabón and lots of limestone steppes. The water is impossibly blue, which stands out even more remarkably next the vibrantly green jungle that lines it. This spot is becoming more popular, but it’s still got an off-the-beaten-track vibe because it’s a bit of a journey to get there. • At 4.3 million acres, the Maya Biosphere Reserve is the largest tropical forest in all of North America. If size doesn’t matter to you, it’s also full of ancient Mayan ruins. The jungle has a plethora of wildlife, and remains largely wild itself. Though protected on paper, animal rights activists and local farmers and poachers are at odds over its preservation. • Guatemala currently has three UNESCO World Heritage Sites. The entire city of Antigua, the country’s former capital, is a UNESCO Site, and is replete with colonial ruins destroyed in earthquakes. 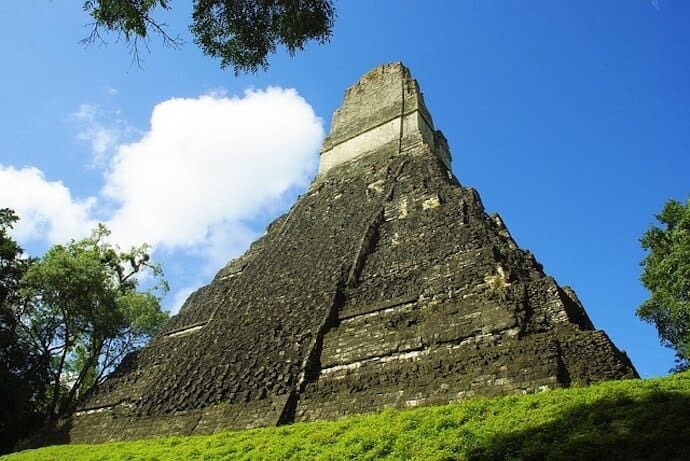 The other two sites are Tikal National Park, which is located in the northeastern region of the country, and the Ruins of Quirigua, near Lago Izabal. • Guatemala became an independent country in September of 1821, when it was liberated from Spanish rule. It, however, is not the only country: El Salvador, Honduras, Nicaragua, and Costa Rica all gained their independence at the same time. So, aside from Panama and Belize, the whole of Central America celebrates Independence Day together. • Belize has been claimed by Guatemala as a territory since 1821. When Guatemala declared independence from Spain, both Mexico and Guatemala adopted parts of Belize as their own. But in 1862 the country was formally recognized as British Honduras. In 1940, Guatemala claimed that the treaty that made Belize a British colony was void because the terms had not been met. Belize was declared independent in 1981, but some Guatemalan politicians still consider Belize part of Guatemala. • In the entirety of Latin America, Guatemala had the longest civil war. The government military, right-wing vigilantes, and left-wing guerillas fought for over 36 years, from 1960 to 1996. Many say that the catalyst for war was when the CIA backed Colonel Carlos Castillo Armas in the overthrowing of a democratically-elected president.